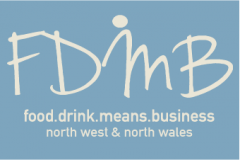 North West Food and Drink Means Business (FDMB) covers the geographical area stretching from Cumbria, down through Lancashire Greater Manchester, across to Merseyside and Cheshire and into North Wales, and seeks to bring trade members of this vibrant sector together. FDMB has a growing audience of 5,000+ businesses in and beyond the north west and includes the University of Cumbria, BOC, and Smoothie PR amongst its partners. On formalising the partnership, brand protection expert and Abel & Imray partner Danielle Cooksley said "We are delighted to be part of the food & drink sector in North wales and the north west, helping businesses to look after their brand and ideas. Through my work with food & drink businesses, I understand how important IP and brand protection is to this competitive and innovative sector - both commercially and emotionally - and we look forward to being part of FDMB with Paul and his team and to meeting more food & drink businesses at the live events". Paul Caunce, Founder and Publishing Editor of FDMB, said; "We are thrilled at this latest Strategic Partner link up. "Abel & Imray have an outstanding reputation, and their passion for wanting to engage and help food and drink businesses, and in particular, to reach out to the North West and North Wales really blew us away." Caunce continued "We have a number of very exciting joint initiatives planned over the next 12 months which will see Abel & Imray contribute to a regular column in our bi monthly printed magazine, and also engage with our audience at our forthcoming FDMB Live events."